What Car? will save you at least £5,082, but our approved dealers could save you even more. 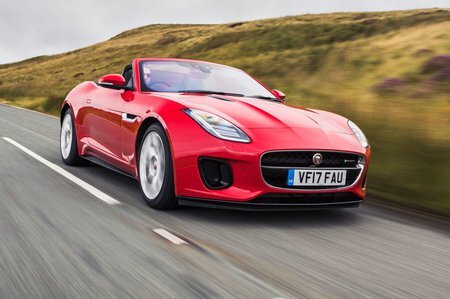 Every Jaguar F-Type Convertible comes with xenon headlights, single-zone climate control, satellite-navigation, Bluetooth, a DAB radio, part-electric seats and rear parking sensors as standard. That’s a reasonable amount for the money, but there’s a lot on the options list that is worth paying extra for. We’d recommend the performance seats (including full-leather upholstery), dual-zone climate control, heated seats, front parking sensors, the switchable active sports exhaust, premium leather interior and, if you go for the automatic gearbox, the aluminium gearshift paddles.